The role of smart cylinders — hydraulic or pneumatic cylinders with integrated position detection capability — has increased as manufacturers constantly strive to improve efficiency through automation. Smart cylinders can use either continuous or discrete position sensing, providing manufacturers with options, but possibly leaving them with questions on which is best for their application. In this post we will review the benefits of continuous position sensors and list the applications where this is the best fit. 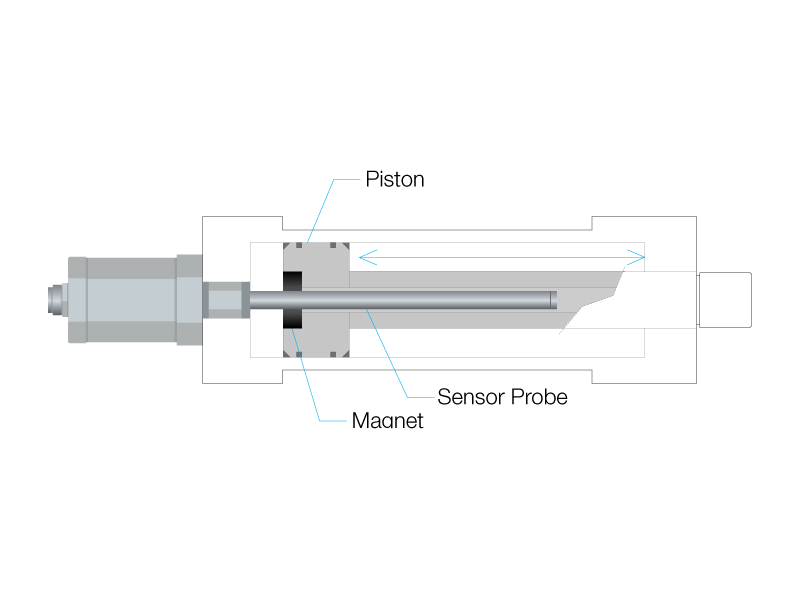 Continuous position sensors provide near real-time position feedback throughout the entire stroke of the cylinder making them the ideal choice for applications at the higher end of the control spectrum. Closed-loop servohydraulic systems can achieve sophisticated, dynamic control of motion across the entire cylinder stroke. Continuous position sensors are commonly used when the application calls for closed-loop servo control, where the position, speed, acceleration, and deceleration of the cylinder must be controlled. Closed-loop servohydraulics have been widely used in industrial applications, such as sawmills, steel processing and tire manufacturing, and more recently in cylinders in off-highway equipment. Magnetostrictive linear position sensors are the most commonly used continuous position sensors in hydraulic cylinders. These sensors are installed into the back end of the cylinder. The sensor detects the position of a magnet attached to the piston and provides a continuous, absolute position signal. The sensor is rated to withstand the full pressure of the hydraulic system. Magnetostrictive technology offers the advantage of being completely non-contact, meaning it requires no mechanical contact between the sensor and the moving cylinder and is not subject to wear and performance degradation. In addition, numerous electrical interface options are available, from simple analog (0 to 10V or 4-20mA) to high-performance industrial fieldbus interfaces that offer advanced functionality. Continuous position sensors can also be used in pneumatic cylinders. 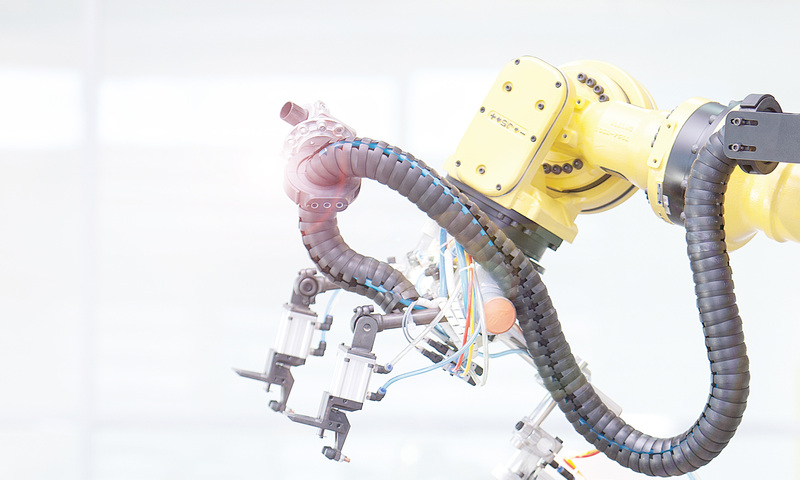 While closed-loop servo control with pneumatics is not as common as it is with hydraulics, there are situations where pneumatic cylinders require continuous position sensing capability. For example, low-pressure pneumatic cylinders are sometimes used as measurement probes, or touch probes, where the cylinder rod is extended until it touches a part to be measured or gaged. In these situations, it is beneficial to be able to get continuous position feedback, especially when there is variability in the measured part. To learn more about cylinder position sensing, visit www.balluff.com. Scott Rosenberger has experience and knowledge of the industrial automation industry with Balluff. With his product and industry knowledge, he is sharing his passion for automation with Automation Insights. Next PostNext What Exactly is Safety Over IO-Link?